Mining pools are vital to cryptocurrencies, especially in the altcoin department. Very interesting trends have emerged in this regard over the past few years. A recently announced project, on the other hand, already causes a lot of concern. It aims to mine all altcoins and dump them on the market in exchange for Bitcoin Cash. Not too much is known about the SharkPool project at his time. It is not a mining pool which has gone live yet, but the website itself causes plenty of concern during this initial stage. More specifically, it is a different take on multipool mining, albeit with a somewhat nefarious purpose first and foremost. That usually doesn’t bode well for any of the currencies involved, especially not when it can affect all altcoins in a negative manner. To put this into perspective, the SharkPool website makes some bold claims. Its operators confirm all altcoins – including forks and splits – are “acts of war against Bitcoin”. That is a very interesting mindset, as it is a sentiment several people have echoed in the past. While altcoins are great ways of making money, Bitcoin maximalists remain confident they will not matter all that much when everything is said and done. 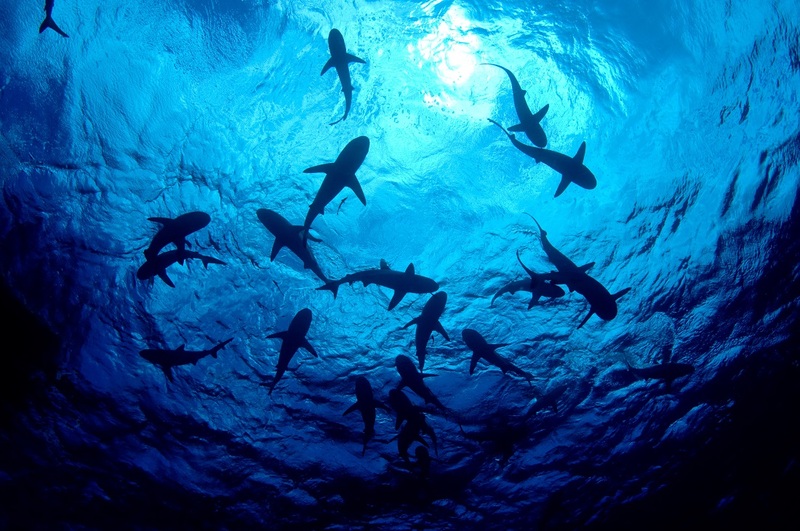 For SharkPool, these altcoins are only designed to be mined and dumped on the open market. So much even that the pool will engage in mining empty blocks to disrupt the reward schemes for other miners. All profits generated by this multipool will be converted to Bitcoin Cash. It is a worthwhile venture, although this may end up hurting the reputation of Bitcoin Cash more than anything else. Another interesting aspect is how SharkPool is not intent on making any profit. Instead, all rewards will be distributed to the miners at 0% fee. That is a very intriguing business model for a venture which may end up disrupting numerous altcoins in the near future. Even so, it is still unclear how all of this will work exactly. Purposefully mining empty network blocks is very controversial first and foremost, and may make people adverse of checking out this mining pool altogether. Considering how the platform is not open for business yet, it is difficult to gauge initial miner interest. The SharkPool team asks users which algorithms they can mine, and none are being skipped at this time. The list includes some exotic algorithms such a Fugue, Fresh, and SHAvite3. Based on the responses by miners, the pool will have to shift its focus accordingly. Given how other multipools handle different algorithms, that shouldn’t prove to be much of a problem. As no one knows who is behind this project or when it will launch exactly, speculation regarding SharkPool is running wild. The business model outlined on the website is quite interesting, although not necessarily for the right reasons. Purposefully disrupting altcoin mining in favor of Bitcoin Cash is controversial, although a lot of miners may see things differently. The post SharkPool Will Mine Empty Blocks for Altcoins to Elevate Bitcoin Cash’s Status appeared first on NullTX.